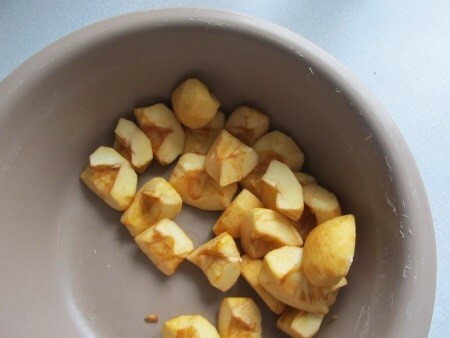 Peel apples and grate them. 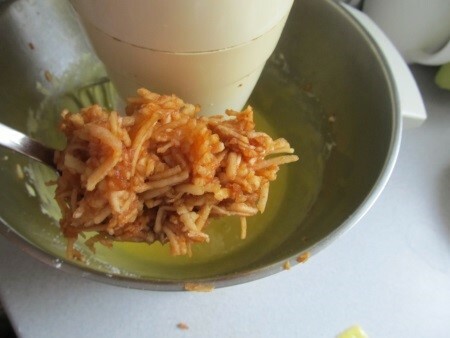 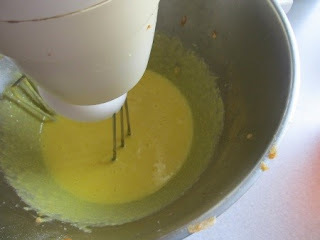 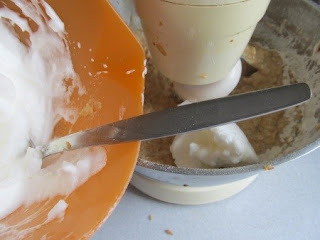 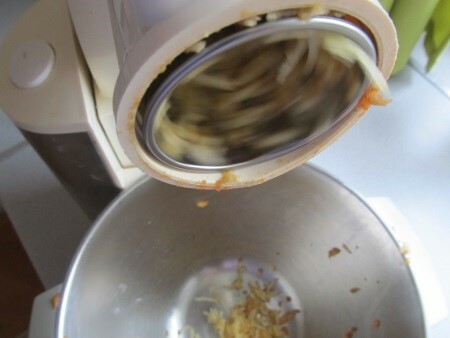 Whip the egg yolks and sugar in a mixer. 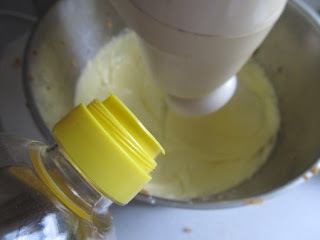 Add gradually the melted butter or oil and stir it. 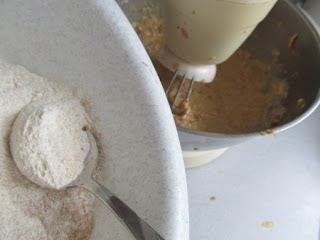 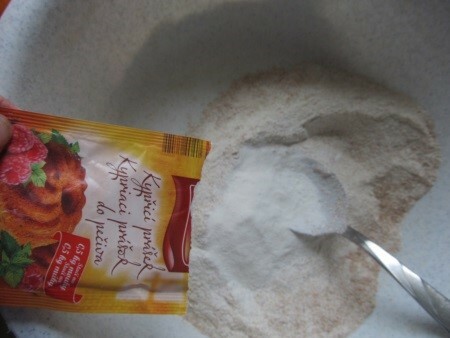 Add the grated apples, flour with the rising powder and cocoa. 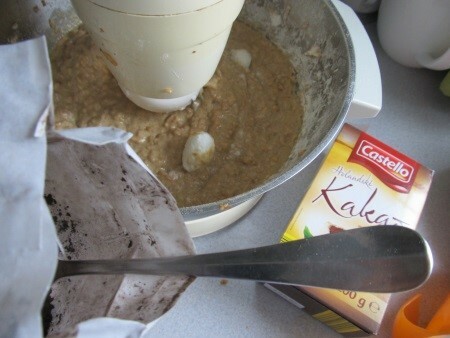 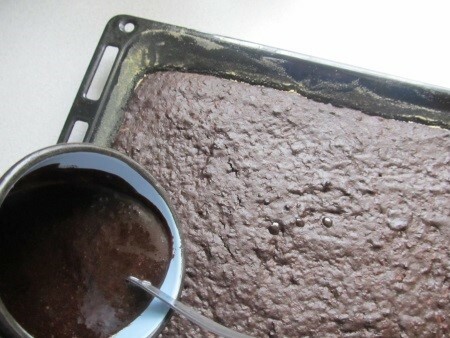 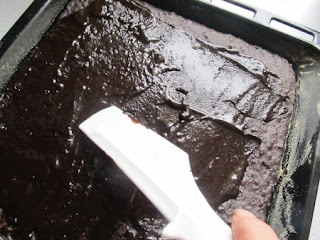 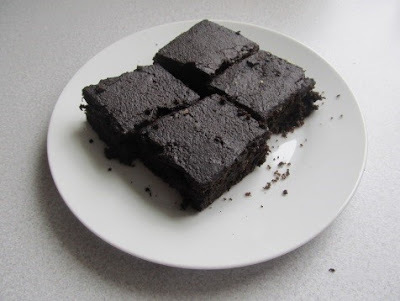 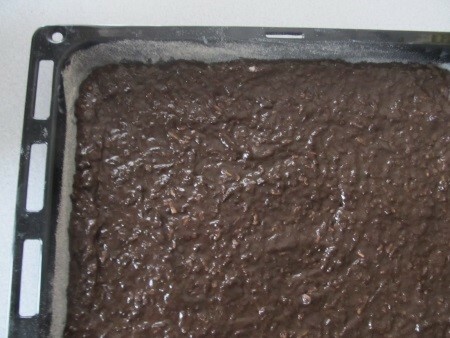 Pour the mixture onto the baking sheet and bake it in the preheated oven at 220 degrees for about 20 minutes. In the end melt some chocolate and butter and spread it on the top.